Beautiful Smiles. Practice Savings. : 3M™ Clarity™ Ultra Self-Ligating Bracket system. Get special promotion pricing for Clarity Ultra Self-Ligating Brackets. Connect with us and learn how to save when practicing with the Clarity Ultra bracket system. 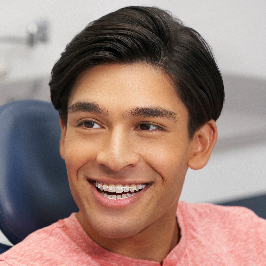 The self-ligating, fully-esthetic, ceramic brackets are a clear solution that inspire smiles. We appreciate your interest in Clarity Ultra brackets. Please fill out the form and we will be in touch with pricing information.